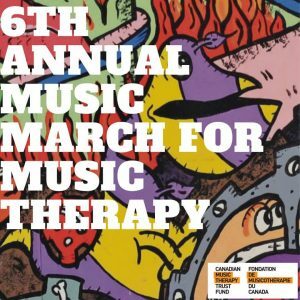 Music Canada is proud to return as a rockstar sponsor for the 6th annual Music March for Music Therapy in Toronto on Sunday, March 31, 2018, in support of the Canadian Music Therapy Trust Fund (CMTTF). This year’s march will follow the same route as last year’s event, beginning at 11:30am at the Music Therapy Centre at 1175 Bloor St. W. At noon, participants will begin their march eastward on Bloor to Lee’s Palace (529 Bloor St. W) for some amazing entertainment, refreshments, and awesome raffle prizes. The after-party at Lee’s Palace will feature performances by some incredible local acts including Matata 6, Rachel Romu, Havelin, Aviva, and Darrelle London, plus a special performance from Music Therapy Centre’s music therapists. This year’s fundraising goal is $40,000, and you can help contribute by purchasing a ticket to the after-party or creating a fundraising page. In addition to the Music March, music therapy supporters can still purchase the CMTTF’s hats designed in collaboration with CDN. All proceeds from the sale of the hats will be donated to the CMTTF. RSVP to the Music March for Music Therapy’s Facebook event to stay informed on the latest news and updates leading up to the exciting event. Watch highlights from last year’s march below. 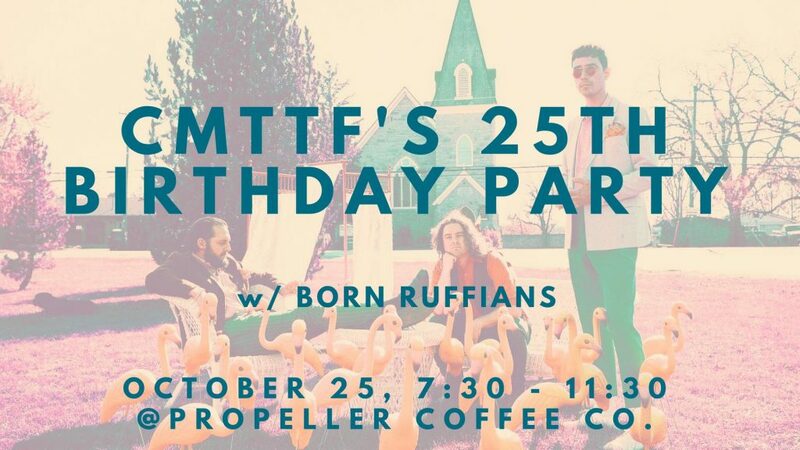 On Thursday, October 25, 2018, The Canadian Music Therapy Trust Fund will celebrate their 25th birthday with an intimate Toronto event headlined by indie rock band Born Ruffians at Propeller Coffee Co (50 Wade Ave). Beginning at 7:30pm, attendees will be treated to a night of music, drinks, food, photos and more, with all proceeds going towards increasing the access to music therapy for all Canadians. Prior to Born Ruffians taking the stage, guests will be treated to an opening set from CMTTF artist ambassador Mponda Kalunga. The event will also be hosted by Much Music alumni and Canadian media personality Master T! If you can’t make the event, you can still donate to CMTTF here to aid their mission of promoting, developing, and supporting music therapy services and research in order to improve the quality of life for Canadians. Can't make it to our 25th Birthday? You still have a chance to win! Music Canada is proud to participate in the event as a Rock Star sponsor, and wish to congratulate CMTTF on 25 incredible years of funding music therapy programs across Canada.